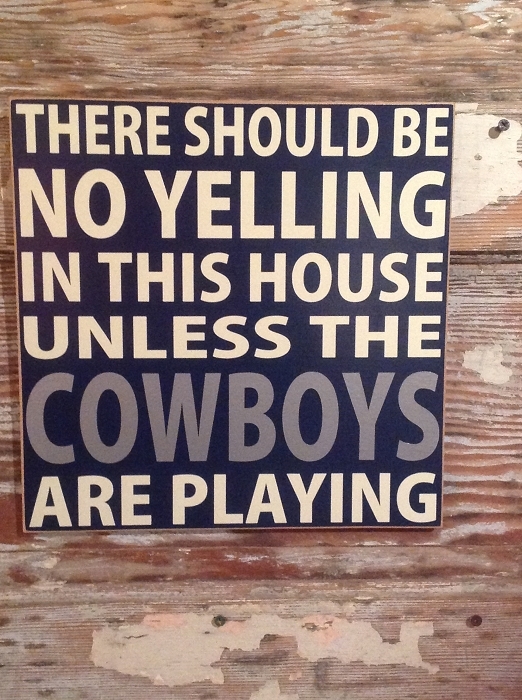 There Should Be No Yelling In This House Unless The Cowboys Are Playing. 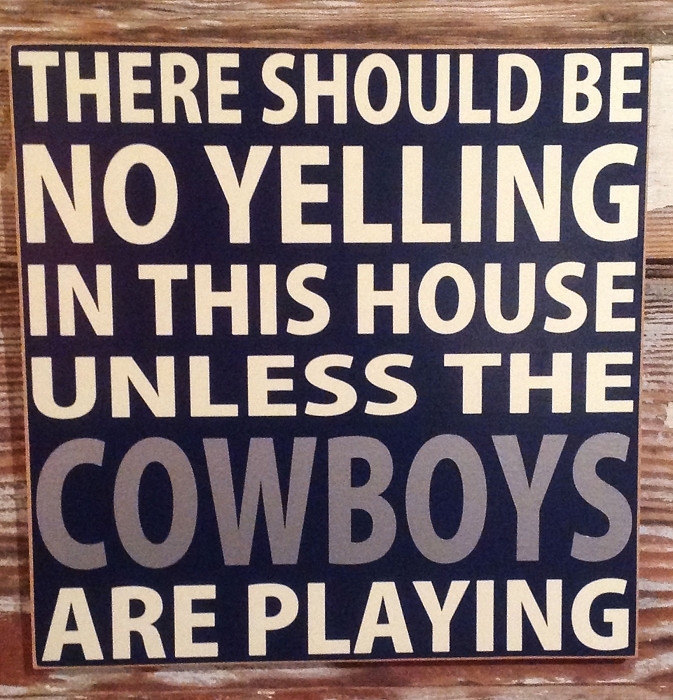 Great addition for any Dallas Cowboy Fan! As Pictured, Navy sign with Off White lettering & Cowboys in Silver Vinyl. This sign is hand crafted and painted with care with a combination of painted lettering and vinyl lettering. Extra time is taken to ensure your painted sign with design and/or lettering comes out crisp. Our signs are proudly made in the U.S.A. Very sharp looking and shipped fast!